Or at least not until you have a specific itinerary in mind, know confirmed space is available, and are ready to actually book your tickets! And while it’s not a mistake, it certainly makes things more complicated. Why accrue transferable points to begin with? As I mentioned the other day, if you’re looking at travel to a particular destination there are often dozens of potential airline programs for you to redeem miles through. And the beauty of a transferable points currency (and why those points are so much more valuable to me) is because of that flexibility. It’s awesome how interconnected airlines have become over the past 15 (or so) years. Prior to that there were no global airline alliances, and you could redeem your miles for travel on the carrier with which you were banking miles, and in some cases a handful of partners. Nowadays if you have a transferable points currency you can redeem miles for just about any airline in the world. The main flexible points currencies are American Express Membership Rewards, Chase Ultimate Rewards, and Citi ThankYou® points. Being able to transfer points to different programs is valuable for a few reasons, in my opinion. A transferable points currency is akin to investing your money vs. storing it under your mattress. Yes, the value of transferable points currencies can fluctuate. But that’s a good thing. Sometimes they lose partners or their partner programs devalue, while other times they add more transfer partners or their partner programs open up new redemption opportunities. Most importantly though, if an airline-specific program makes major changes to their award chart you’re insulated a bit by having your points in a flexible currency that you can choose to transfer to another program instead. This is a good thing, because it means you can combine points from multiple flexible points programs into one airline currency when you’re ready to redeem your miles. American Express Membership Rewards and Chase Ultimate Rewards transfers are rather quick, and even instant in many cases. Citi transfers can potentially take a few weeks, depending on the program you’re transferring to, but I still wouldn’t make speculative transfers. Making speculative transfers is risky, and can cause you to miss out on opportunities to redeem your miles. One couple that contacted us this week would have been able to take advantage of perfect space in Singapore Airlines business class — except they’d already transferred all their Membership Rewards points to Cathay Pacific Asia Miles. Anyway, just something on my mind this week, so thought I’d share a reminder! Qatar Airways To Take Delivery Of A380s! You have to do more postings like this one. Many bloggers are quite reckless in their pursuit of referral fees by pushing people to credit card offers without explaining how to properly use the miles earned. I know it might hurt your award booking service to explain the ins and outs of the most efficient ways to use miles, but never doubt how lazy people are when it comes to looking for reward flights! 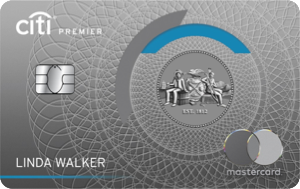 While most transfers are instant, with AMEX at least, if you’re even just thinking about transferring points to an airline frequent flyer program, you should “link” your Membership Rewards account with that program. The linking process itself can take a day or two sometimes, but once they’re linked you should be able to make almost instant transfers. It might be worth considering the risk of banks (especially Chase) shutting down your accounts and seizing all of your transferable miles in the process. Once they are transferred out out, they are safe. I like to periodically diminish the balance to likely destinations (e.g. UR -> United) to keep the balance large enough so I have options, but not so large that I’d be devastated if they disappeared. Really helpful one here. Thanks. And great tip, @KevininRI. I’m going to do that this weekend. Basically, if you do -any- kind of manufactured spending with Chase, even the occasional gift card, you should think about not heeding this advice. Flyertalk is littered with threads where people have had their UR points frozen and seized by Chase. I transfer out all of my UR points every statement period. Great post, wish I knew this when I started as it still haunts me that I transferred AMEX MR into Continental with Hawaii in mind and redeemed for merchandise (eek!) and then life got in the way and mergers happen, now I have those miles in United and have paid to keep them alive as I’ve never flown United from PHL. A very costly error on my part – lesson learned. I did deal with one Membership Rewards rep who was fantastic, but couldn’t really fix things. I wasted a day and a half on this and was worse off than when I had started. 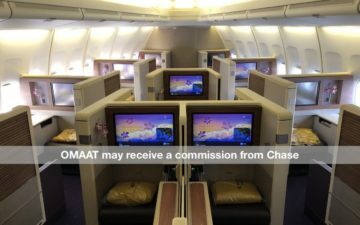 Does this make Chase Ultimate Rewards points more valuable than AMEX SPG points because of the ease of transfer even though the earnings rates are not as good? This is a great post. I was under the impression that hoarding miles in one account would be a good idea, but you gave me a better idea. Thanks Lucky. Yawn….just another post in order to push more affiliate credit card links. Remember that if you move Starwood points to United, you only get half the miles of moving to another airline. Don’t forget Amex MR points are transferable to Emirates as well. @ WhatWdJamesDo — Yes and no. For instant transfers they definitely are, but at the end of the day you essentially earn 1.25 miles per Starpoint when transferring in the right increments, so Starpoints can be worth more. And they can also be useful for hotel redemptions.